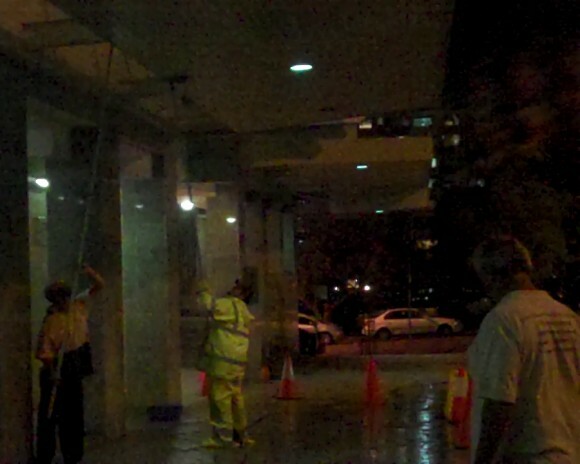 Are you looking for an after hours high pressure cleaning service in Sydney? Hospitality, restaurant and retail pressure cleaning. Graffiti removal, office and commercial concrete, driveway, window, brick or tile pressure cleaning. As well as the after hours high pressure cleaning of hotels, motels, carparks, public recreational areas and industrial premises in the Sydney wide area. After hours pressure cleaning is ideal for you if your business operates during normal business hours. All while you’re relaxing after hours, with the confidence that your after hours pressure cleaning is being done by trusted pressure cleaning contractors. To talk with Peter about how Exterior House Cleaning Sydney can service you with residential, commercial and industrial after hours pressure cleaning in the entire Sydney wide area and Central Coast — please call Peter on 0410 630 443. Or you can simply use our Free Quote form here to get in touch. Eaves Cleaning For When You Look Up!